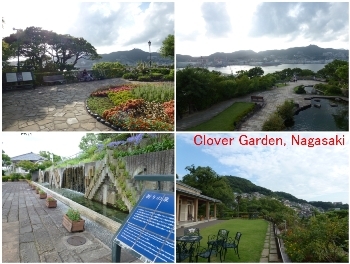 After enjoying the stained glass and the aura of the Church, I went next door to the Glover-en Garden. 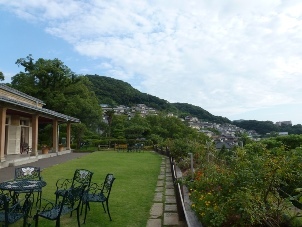 Oura Tenshudo and the Glover Garden are in an area called Minami-yamate, which became the foreigners’ quarter after the country was opened in the mid-19th century. One of these, the former Glover residence, was built in 1863, and is Japan’s oldest wooden building in the western style to be preserved in its original form. European-style furnishings and decorations have been reproduced inside, and as you look around, it is easily to forget that you are in Japan. The former Glover residence stands on a piece of high ground, and from in front of it you can see a view of the whole city and the port that should not be missed. Here some pictures I taken. 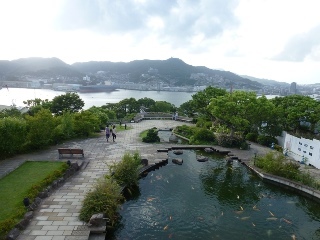 In addition to gardens and churches, there are still many western buildings and foreign graveyards in Nagasaki, which together create an exotic atmosphere. 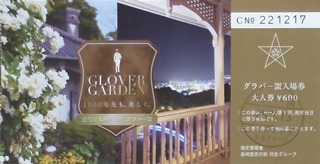 Here are Glover Garden homepage for foreign.